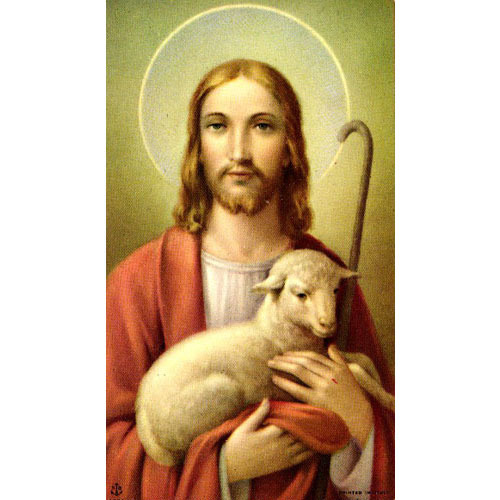 Good Shepherd holy cards, blank back, very beautiful quality with gold edge, printed in Italy. Buy one or many. A beautiful card to enclose in letters or to give to a class after the Sacrament of Penance (Reconciliation) or for Good Shepherd Sunday (the Fourth Sunday of Easter). fine gold edged paper, 2 1/4" x 4 1/4"